Now that the holiday season is here, it’s time to start thinking about shopping for those people on your gift-giving list this year. Because everyone loves feeling good and looking great, a top idea is to give the gift of quality skincare products such as at home chemical peels, facial washes, moisturizers and skin serums. Giving the gift of healthier, smoother skin and a younger “you” is a top idea for both men and women. If you’re like most people, you have that one person in your life who is very hard to buy for. Maybe it’s a close family member or your best friend. Giving him or her a gift basket filled with quality skincare products is a great idea because even the pickiest person would appreciate this type of thoughtful gift! Dermalure’s wide selection of quality skincare products make wonderful holiday gifts, regardless of who you need to buy for. Whether you’re looking to gift your husband, mother, best friend, sister or brother, we have a very broad range of quality products that are specially formulated to clean away dirt and grime to leave the skin smooth, soft and amazing looking! When buying the chemical peels, serums, moisturizers and other skincare products to put into your holiday baskets, don’t forget to shop for a few smaller like washcloths & hand towels, bath beads, soaps etc., to fill out your baskets. And, by all means, don’t forget to buy a little something for yourself because after all, you’re worth it! Dermalure offers the most advanced and sophisticated skincare products from quality chemical peels to face serums and more. We understand that everyone wants to have great looking skin. This is why we work hard to help you get the great skin you deserve by offering a wide selection of superior skincare products at affordable prices. We’re confident that with the continued use of our products, that you will be very pleased with your healthier, younger and more radiant skin! Acne is a very common skin condition that affects millions of people. While many people think that acne is nothing more than pimples, a person with acne can have many blemishes on their skin including blackheads, whiteheads, pustules, cysts and nodules. In addition to the having visible blemishes, a person with acne can also develop dark spots and even scars on the skin when the acne heals. Fortunately, chemical peels/skin peels can help with acne as these peels have been found effective at keeping pores clean. Most acne occurs due to dirt, debris and skin oils accumulating in the pores wherein they become clogged. When a chemical peel is applied to the skin, it works to clear the pores which can prevent, reduce or lessen the scarring to the skin. 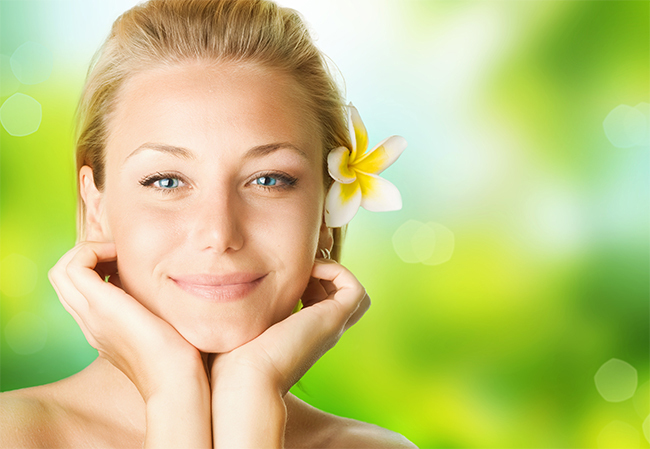 Keratolytic therapy/treatment is a term used to describe a chemical skin peel. Through the use of chemicals such as salicylic acid, glycolic acid or lactic acid, keratolytic therapy can assist in removing dead skin cells by softening the clumps and causing them to shed from the skin. The results can be softer, smoother skin the looks and feels good. In order to get the most out of a chemical/skin peel, it’s important that it has a strong exfoliating effect. That is why Dermalure’s uses pharmaceutical-grade products. Our peels are available in varying types of concentration because each person’s skin type is unique. It is important to speak with your dermatologist to see what type of skin peel would be the most appropriate for your skin. Then, with that advice in mind, it is advisable to start out with a lower strength acid. Generally speaking, the stronger acids remove more layers of the skin. These stronger acids may be appropriate if you have tougher skin that needs to be removed in order to get to the softer skin underneath. But it is important to start with a milder acid that does not peel away skin any deeper than necessary. This is why you should always consult with your dermatologist before choosing a chemical peel. Your dermatologist can tell you what level of acid you should begin with. You do not have to live with the physical and emotional affects of acne as Dermalure offers several types of chemical peels that are effective at treating acne. Our friendly skin care professionals are always available to help you choose the right product so please do not hesitate to contact us if you need help choosing the best peel for you.